Looking back Jennifer says it is “as clear as day” that she suffered emotional abuse in her relationship with her ex-boyfriend. However, at the time, she did not realise how bad it was because it was “death by a thousand cuts”. “It was not until afterwards, until I’d actually managed to get out of the relationship, that I recognised some of the behaviour,” she says. “Looking back it was pretty damaging. You are left with a residue of particular behaviours that are not ok.
Jennifer said it had taken a long time since she split with her boyfriend to realise that she was not responsible for his behaviour during their relationship. She says she was constantly changing her own behaviour in response to his unreasonable expectations. “It is little things like you would be out for a night out with friends and after he would say how you had embarrassed him and you’d be rattling through your mind thinking ‘what did I do?’,” she says. “It sounds ridiculous now when I say it out loud but a lot of that happened. “It is that idea of getting systematically chipped away at until you just submit.” Jennifer says it made her start believing there was a problem with her behaviour. That led to “coping” methods, she says, changing her behaviour so that she did not annoy her boyfriend. “You think ‘he doesn’t like that so I’d better change that bit about me’,” she says. “You start to clock up these ideas of ‘I’d better not wear this’ or ‘if I say this or I’m too loud then maybe it’s my fault’.” Jennifer says she created her own “prison” in her head. “We are taught as women to absorb this stuff and adapt to it rather than to ask questions about that behaviour in the first place,” she says. “Friends were saying to me ‘this isn’t right’,” “I didn’t know that emotional abuse was a thing really,” she says. 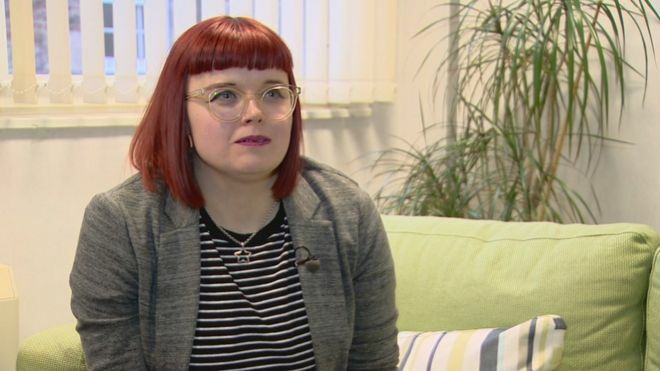 “I look back now and it is as clear as day but at the time I didn’t realise it because it was all little things.” Jennifer now wants other women to recognise the signs of psychological abuse. One of the most helpful first steps if you feel you’re in an abusive relationship is to speak to someone outside of it. If you can talk to someone who isn’t involved, they might be able to lend you a little perspective. This can be a particularly useful if you’re not sure where you stand – sometimes, behaviour we’ve become used to can seem quite clearly unreasonable to an objective outsider. This person might be a member of your family or a friend. Or it may be a Relationship Counsellor. Counsellors are trained to unpick situations like this, helping you and your partner to understand where any abusive behaviour might be coming from and how you can work together to move towards a more mutually respectful and healthy relationship. You may want to come along by yourself at first, especially if you don’t think your partner would react well to the suggestion. We can then help you figure out what’s happening – and whether inviting your partner along so you can work on things together would be a good idea. Our Live Chat service allows you to exchange messages with a counsellor online for free – that could be a good place to start. Women’s Aid, which has a 24 hour helpline (0808 2000 247). They can talk you through any issues and help you figure out what you’d like to do next. They also have an email service. Live Fear Free, advice on domestic abuse, sexual violence and violence against women (Wales), 0808 8010 800. Do you have concerns about an adult in Knowsley. Do you have concerns about an adult in Liverpool. Do you have concerns about an adult in Sefton. Do you have concerns about an adult in Wirral.